It’s quite hard to tell that this Hogwarts Express train (the “Olton Hall” to be precise) by Carl Greatrix (Bricktrix) is actually LEGO. But it is aside from some custom stickers and a very small number of altered parts. The backdrop and track, however, is not. 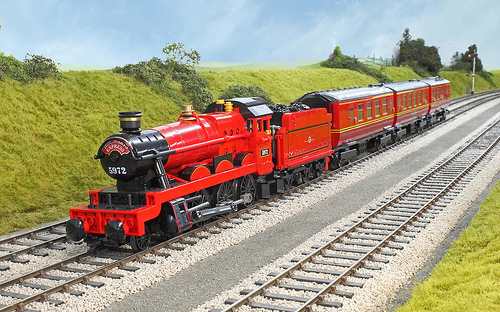 And yes it would have been lovely if TLG had made the new Hogwarts Express train similar to this. Oh wow, that looks lovely. If only the Hogwarts Express looked like that, indeed.